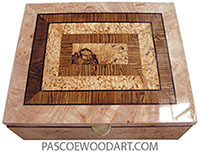 9-1/4" x 6" x 4"
This box is made of birds eye maple laminated over maple. 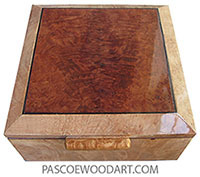 This highly figured birds eye maple came in a small piece, just large enough to make this box. 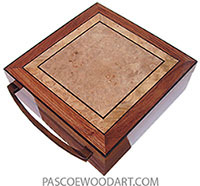 The top has an inset of walnut and ebony.